Members of the Academy of Nutrition and Dietetics (AND) are uniting against Big Food like never before. Since then, the story has garnered headlines and resulted in a short segment on The Daily Show, with Jon Stewart saying that AND “is as much an Academy as [Kraft Singles] is cheese.” Ouch. Last year, the Academy’s Foundation received a grant from Elanco, maker of livestock pharmaceuticals, to “teach dietitians about farming.” The organization’s annual conference has also been a source of controversy [PDF] due to a plethora sponsorship and messaging from companies, including CocaCola, Pepsico, General Mills, Unilever, and Kellogg’s. Many of these developments have angered AND’s members over the years, but rarely has the past outcry resulted in any real change within the organization. Following a 2013 report detailing the ties between AND and the food industry by public health lawyer Michele Simon, many dietitians became aware of the problem. In fact, several of us came together to create a group called Dietitians For Professional Integrity (DFPI), and I am currently the group’s Strategic Director. But it wasn’t until the Kraft collaboration news last week that AND’s members finally said “enough!” and really mobilized. For the first time, hundreds of dietitians vocalized their bewilderment and disappointment on AND’s Facebook page. And over on the DFPI’s Facebook page, comments from dietitians bemoaning the partnership were posted on a minute-by-minute basis. 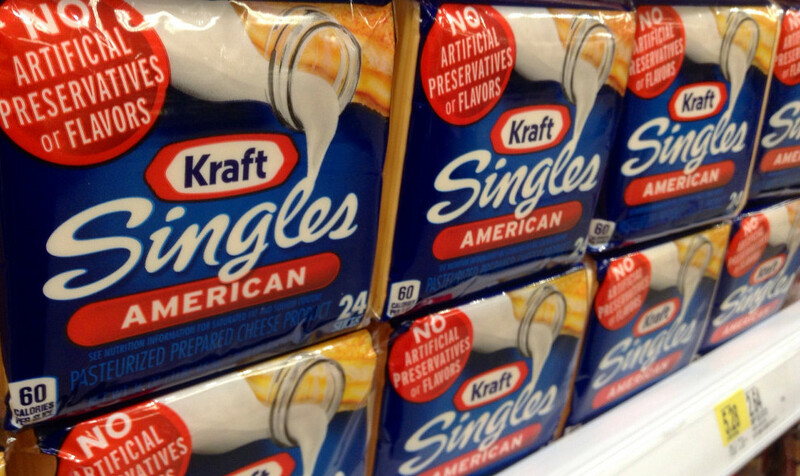 Last week, three dietitians drafted a Change.org petition calling for AND to “repeal the seal” on Kraft singles. The petition received over 10,000 signatures in the first five days. Meanwhile, AND has shown less-than-stellar public relation skills in dealing with the fallout. On three separate occasions (an initial press release, an “update on recent news media coverage,” and a letter from CEO Pat Babjak to members), AND stuck by its story that the Kids Eat Right seal is not an endorsement, but rather an advertisement for the program. In these member communications, AND has also suggested that the facts had been “seriously misrepresented” by The New York Times, without specifying what exactly that means. Additionally, a Twitter chat hosted by AND in celebration of National Nutrition Month–a nutrition education campaign created by the organization–was canceled with no further details provided. AND also says it is looking to “establish a joint, member-driven Member Advisory Panel,” but that solution hasn’t appeared to satisfied most members. On the bright side, dietitians of all ages, specialties, and backgrounds are banding together on this issue, and it looks like the dietetics profession is at a tipping point. Not only are more dietary experts beginning to take the role of food company advertising and influence seriously, they’re also decrying its impact on the American diet. In a letter to its constituents about the outcry following the Kids Eat Right and Kraft news, the California Dietetic Association announced last Tuesday that it will not be inviting McDonald’s to be a sponsor at its annual conference this year, citing years of concern from members. Great article, Andy. Thank you. I am reminded of Thomas Jefferson's wise words: "Eternal vigilance is the price of liberty." 1) My farm is a USDA-certified organic farm, on which I introduce principles of sustainable agriculture and food systems to dietetic students and interns through the School to Farm Program directed by the Hunger & Environmental Nutrition Dietetic Practice Group. More info about this program can be found at www.hendpg.org. 2) I am not associated with the Élanco-funded activities at the AND Foundation. Instead I am showing dietetic students examples of nourishing healthy communities without the use of synthetic chemicals in our food supply. "We are what we grow". I have been complaining about AND's close ties to the food industry for many years with nothing but platitudes in response. I am glad this has happened because I think will result in many positive changes to AND's external funding policy. I was very surprised to find that AND's leaders were not savvy enough to anticipate this, but this just shows how out of touch they are with members. Thank You Andy for this AND for the wonderful webinar that you recently gave about this same issue. Do you know if we will we be able to revisit your webinar? It contained some powerful information. This may seem harsh, but the AND are whores. They sell their integrity for agribusiness and food processor dollars. They have demonstrated time and again that they couldn't care less about healthy food, only processed "food" corporation donations. If you AND members want to do something meaningful, then quit AND and form an organization that is truly committed to health and nutrition. Otherwise your critiques ring hollow. For decades I've thought it was hypocritical, uninformed, backward, and out of touch (just wrong) for our governing body to be in bed with all of these corporate sponsors with ambiguous to negative impact on public health. And also want to acknowledge the good AND does in spite of this and hope they listen and change their partnership policies. Wonderful article Andy! This is such an important issue, and like you, I am heartened by the overwhelmingly negative response from members to this supposed "non-endorsement." Keep up the good work! The whole rest of the U.S.A is 100% capitalist it can't be easy for a Nutritional Academy to resist. Really why should they be held to a higher ethical stranded than the FDA. Heart and Stroke gave 24 of Hellmann's products a health check and Black Diamond has 9 cheese products on the list with a check. It's funny because I haven't seen a health check on kale or cabbage lately.